The Panasonic DC-ZS200 (or DMC-TZ200 to the rest of the world) is an ultra-compact camera aimed at the travel market. One of its standout features is the impressive 24-360mm focal range, UHD 4K video, 5-axis Hybrid IS, and Leica inspired lens for good measure. The camera follows on from the respected ZS100 with improvements where it matters. This should translate to a more robust, all-around performer fit for generic travel purposes. The key differences between the DC-ZS200 and DMC-TZ200 start with the extra reach of the new lens. 24-360mm compared to the old at 25-250mm is impressive, but the new lens isn’t as fast at f/3.3-6.4. As a travel camera, the extra reach will be more handy, giving more scope for creativity when you’re on your travels, but the longer length will introduce more diffraction. 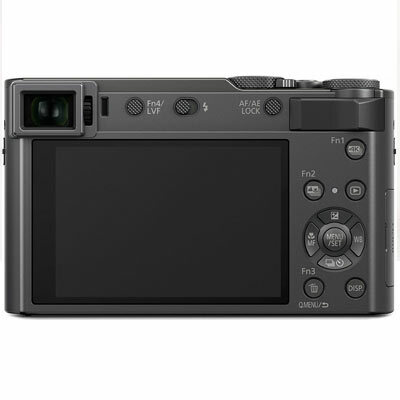 The electronic viewfinder is also 50% bigger than on the ZS100 and the battery life increased considerably. Designwise, the DC-ZS200 is only a millimeter bigger than its predecessor, with all the controls in the same place. The addition of a rubber grip on the front and back helps to keep a tight hold of this little beast, but you still need to be quite accurate with pressing the buttons and moving the dials as they are all relatively quite small. 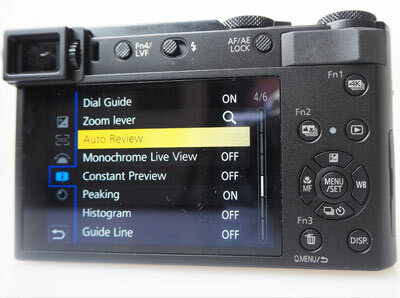 Everything is logically laid out on the back of the camera, with easy to access function buttons and a menu system that is straightforward. As a camera designed to be easily carried around all day long, especially when traveling, the DC-TZ200 definitely fits the bill. Its size is small and discreet and the focal range is long enough to capture natural scenes without been opposing. Inside the DC-TZ200 sits a 20.1MP BSI-CMOS sensor and is the same as the previous version with a fully retractable lens AND a 15x optical zoom featuring 13 elements, in 11 groups with 5 aspherical elements, 3 extra-low dispersion and 1 that is both aspherical and extra-low dispersion. 24-360mm is a huge zoom range on such a small camera, which wins for versatility, but will always have its drawbacks over such a wide range, such as diffraction and some image softness. Electronic viewfinders are increasing in quality all the time and the DC-TZ200 has jumped itself to 2.33M-dot equiv., but the actual display is still field sequential which can mean color tearing if you pan too quickly. EVF are getting better every year, but it’s sometimes better to simply use the rear LCD screen if the conditions allow. Its also a shame the screen doesn’t tilt. The camera also has a flash that can be rotated to bounce the light. The camera has an auto ISO function, but as slow shutter speeds are often chosen by the camera to keep noise levels down at high ISO levels, it’s better to manually choose the top ISO range. This can be problematic on a camera with such a wide degree of focal length, so you always need to keep an eye out for your ISO settings depending on your focal range. Having such a compact camera with such a large lens has its pros and cons. On one side, you get great reach up to 360mm equiv., but in contrast, the camera isn’t the best in low light conditions with an aperture range of F3.3-6.4 and will sometimes hunt for focus. This means the ISO will need to be bumped up creating noisier images, but you cannot have it both ways with a super compact camera and a large lens in one. There’s also softness in the images, which is expected from a 15X zoom lens. Diffraction will start to come in at the extreme focal lengths, but the camera does have a diffraction correction mode which does an okay job with some additional sharpening. JPEG rendition has been improved from the ZS100, with no resulting color casts and a better than before white balance. Noise levels are the same as in the previous model, especially at high ISO levels. So, the lens quality is not cutting edge, but it is an improvement over the ZS100, being slightly sharper. The autofocus system is Panasonic’s contrast-detect AF. The system is good at jumping to a single subject for focus, but it can also hunt around a lot in low light. It can track subjects, but not as good as the Sony system. As long as you have reasonable amounts of light, the autofocus system can be reasonably fast and accurate. Video footage produces some nice results with the top quality at UHD 4K/30p and 24p with some manual controls. There is a 1.5x crop factor and no microphone or headphone jacks included but there is a built-in zoom mic, but the footage is good enough for candid use. It’s definitely better quality than 1080p, but maybe not as good as the output from a Sony RX100 V. There may be noise at higher ISO levels, but the footage has a good dynamic range. Oddly, the resolution of the LCD/EVF seems to drop when recording video, which may be offputting when changing settings while recording. Measuring up the DC-TZ200 against competitors is difficult considering its huge focal length. Cameras such as the Sony RX100 and Canon G7 X II don’t have anywhere near the focal length, but they do have a better aperture range frames per second. The are similar in functionality, but the Panasonic has much better battery life. As a camera that can fit in your pocket and features a huge zoom range with excellent build quality, it’s a good choice. The camera can produce high-quality stills and video at 4K, which will be enough for some, but it’s the ultimate image quality that can also be the deciding factor. Images produced are a little softer than expected, but at least the color rendition has been improved, along with internal sharpening of the JPEGs. Both video and stills suffer in low light operation due to the slower lens, but footage can also get noisy with lower light levels. One thing to bear in mind with the ZS200 is its placement in the market. Ultimate image and video quality is always primary, but the average traveller wants as versatile a camera system as possible, along with being compact and lightweight. Having such a long focal length can be the winning factor on a camera such as this one and having everything in such a small little box may be a winning formula over absolute, ultimate image quality. At this size and considering the features, the DC-TZ200 is a very good camera in its class.